As we wrap up this series, so many quotes come to mind that speak to challenges of change. Stacy and I use these a lot in our speaking coaching programs because any time you are trying to get to the next level in your life or career, you must be willing to get out of our comfort zone. The fact is…change is uncomfortable. And it makes me feel better knowing that my initial reaction to change is normal. It’s what I do next that counts. If you are a Rock Star Hygienist then you’ve come to welcome change and you know that when you feel that familiar uncomfortable feeling, it means what you’ve always known is being challenged and you are about to grow. 1-Look at all the reasons this could be good– So if you’re a hygienist and your doctor is offering you a new compensation plan, look at the upside. You now have more control over your income and you’re being rewarded for deliver outstanding care and helping build the practice. 2-Look at the things that are frustrating you in the way you are currently doing things– If you’re frustrated with the fact that every hygienist in your practice does things differently and there are no consistent systems, setting up a new protocol and getting everyone to agree may be hard at first, but in the long run it’s going to make your days less stressful. 3-Look at how your life could actually improve- So your boss has now decided to have a morning huddle every day at 7:30, much earlier than you’d like. But think about how planning your day might mean less stress and more chances for you to help your team and for them to help you during those crazy times of the day. 4-Look at how the lives of others could improve because of the change- I worked with a team recently that had 4 hygienists seeing patients every 30-40 minutes. Slowing down and learning a new way to work was tough for them but they realized when they were able to give their patients more time and education on their own health, their patients were enormously receptive and thankful and they were getting a much higher level of care. And here’s a secret…the more you get out of your comfort zone, the easier it is. It’s just like any other ‘skill’. The more you practice, the better you are. AND, there are some great rewards on the other side. You’ve probably heard before that a 60 minute hygiene visit can be broken down into 3 equal parts… 20-20-20. If you’re fortunate enough to have 60 minutes for your adult prophy and perio maintenance appointments, here’s the break down. The first 20 minutes is for the Hygiene Exam. This includes your perio charting, x-rays, photos, oral cancer exam, medical history review, etc. The next 20 minutes is for scaling and polishing. And the final 20 minutes is for the Doctor Exam, scheduling the next appointment, hand-off to the front desk and room cleanup. In my experience the #1 reason for running behind is too much scaling! Recently, I heard about Parkinson’s Law (Google it). Parkinson’s Law states that work expands to fill the time available for its completion. In other words, if you allow 45 minutes for scaling, it’s likely to take that long. If you allow 20 minutes, it will take you that long. I’ve tested it! And if you’re routinely spending more than 20-25 minutes on scale and polish, this patient probably needs something other than a prophy. If you have 60 minutes and you spend 20 on medical history review, x-rays, perio charting and then 35 on scaling and polishing and another 15 on the doc exam, all of a sudden you’re 10 minutes behind and you haven’t even turned over your room. #1 – Properly identify perio – If you watched the previous video, I spoke about this. Be sure to dedicate time in each appointment to do a thorough perio exam and charting-specific bleeding points, pocket depths and at least once/year chart recession, mobility, furcation, etc. I worked with a client once and we timed how long it took from the time the patient was seated to when scaling began. THREE minutes. And every patient was dismissed about 10 min early. Invest in the time you need for a thorough exam to identify health or disease. And remember, if you don’t use the time…you’ll lose it. #2 – Call doctor early – don’t want to wait for doc exam when you only have 10 min until your next patient is due? Call your doc as soon as you have completed ALL parts of your exam (remember, before you start scaling) and then you can work while you wait. #3 – Talk while you work – If you’ve highlighted a restorative need, leave the photo up on the monitor and talk about it through the prophy. Or talk about areas that need attention with better homecare. Use this valuable time when you have a captive audience to educate and enroll! Yes, there are critical moments when the patients should be upright to present treatment plans but once you’ve presented your recommendations and really listened to your patient, you can elaborate while you’re working. #4 – Set a realistic expectation of what you can accomplish – Dr. Bruce Baird teaches that you must ‘handle the objection before it becomes an objection’. If your patient shows up with Black Tea stain on the lingual of every tooth, before you even start, take a photo and tell the patient that you’ll do the best you can in the time you have and that they can either come back for another visit or be happy with the progress you’ve made. Early in my career in worked in a small town that was literally built by textiles and tobacco and I made the mistake SO many times to try to get every speck of stain and make my next patient wait and it is just not necessary. Especially when I saw the patient lighting up as they walked to their car-every time. I know we all run behind from time to time but if you step back and take a hard look at the things that hold you back, I promise there’s a solution. We work with clients from a wide range of practice settings and various levels of experience. Some of the rock stars we have the opportunity to work with are in small town one-doctor practices while others practice in fast-paced, multi-doctor, big city practices. The practice setting aside, the real rock stars shine through very brightly due to their commitment to staying current. I think one myth that is very common is that if your hygienist was on top of their game when they graduated from hygiene school, then they’ll always be on top of their game. The fact is, SO MANY THINGS CHANGE in dentistry, without a commitment to the latest trends, we lose a key piece to our clinical edge. Doctors, would you like to know some key questions to ask of an interview candidate for that open hygiene position currently available in your practice? Here are some questions that will uncover if he or she possesses some of the big rock star traits of staying current. 1. Tell me what your annual CE requirements are for your license. From there, ask how many of CE credits they typically earn each year? Rock stars are committed to CE. They want to stay CURRENT and strive to keep up with the latest science, technology and trends. 2. What types of new technology do you currently consider as “must-haves” for delivering a high standard of care? a. You might be looking for someone who is consistently using ultrasonics. Rock stars know the science behind their use and incorporate them fully. b. They consistently incorporate intraoral cameras, bacterial testing, or caries detecting technology such as Diagnodent. How they answer your question about technology can be a sure sign that he or she will be your biggest asset when it comes to restorative co-diagnosis. Another scenario might look at how you can bring out the inner rock star in your existing hygiene team members. 1. Sit down with your team and set goals for CE. Rock stars commit to taking high-level CE; not just what’s close and convenient. Hands-on courses are an excellent way to assure your hygiene team stays current with the new technologies and techniques. Do you have a CE compensation protocol written in your SOP manual? If you’re going to require your team attend a big national meeting, what does their compensation look like for their time? 2. Devise some sort of “bonus bucks” plan so they could purchase a rock star adjunct such as loupes. Using magnification is one of the best ways to help elevate their rock star skills in co-diagnosis. Experts agree that close to 60% of the doctor’s restorative schedule gets diagnosed directly from the hygiene operatory. So, consider looking at ways to bring out the rock star in your hygiene team. It not only helps them grow but it is ultimately the lifeline for the entire practice’ sustainability and success. If you are interested in learning more about some of the current trends in dental hygiene, consider joining our Inspired Hygiene High Profits Mastermind group. In addition to cutting edge content, your practice is eligible for private phone coaching each month. Visit Hygiene Profits Mastermind to learn more about the benefits of membership. One of the keys to being an effective, efficient, productive, high-level hygienist is to take a proactive approach with your patients. If you’re a hygienist, so many pieces of your day-to-day work hinge on your ability and willingness to start perio treatment early. This one piece often determines your level of profitability, whether or not you run on time and also if you’re fulfilled in your career! This is a BIG deal. If you’re frustrated with doing too many bloody prophies and lots of scaling during your prophy appointment, it may be time to revise your perio protocols. 1-In their consensus paper with the Journal of Cardiology, the AAP defines advanced periodontitis as moderate-severe bone loss with gingival probing depths greater than 5mm. So along with their classification statements, that gives me the evidence to teach that moderate perio is slight-moderate bone loss with 5mm and beginning perio is when we see even slight bone loss and 4mm pockets. AND bleeding is our sign of active infection so that is a critical component too. 2-The ADA and AAP also state that x-rays routinely underestimate the extent of bone loss. And studies have shown that with digital radiographs, 30% of the density of bone must be lost before it’s visible to the human eye. Am I doing prophies on patients with slight bone loss, bleeding and 4,5,6mm pockets? Could I be more proactive and move these patients into even localized therapy so they have the chance to get well and I have the time I need to properly treat those infected areas? “Let’s all get on the same page” and “let’s work smarter, not harder” are ubiquitous rallying cries for team building these days, but what exactly do they mean? Join Ginny Hegarty for “Planning on Purpose” and learn how the most successful dental teams are tapping into the power of strategic planning to drive their success. Talent isn’t enough. Systems alone don’t achieve great results. Learn how to bring exceptional individuals together to form a world-class team that embraces leadership and accountability to achieve sustainable success. 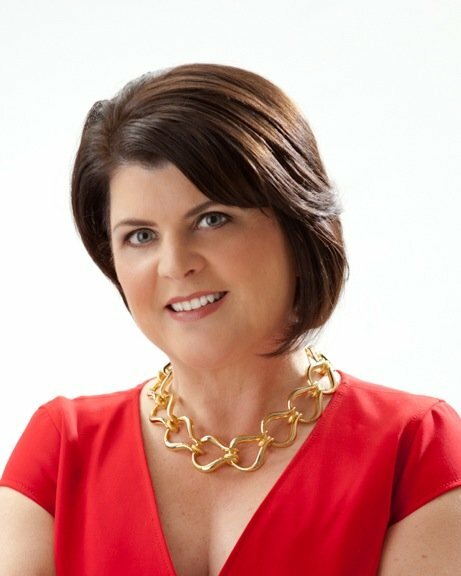 With over 25 years of experience, certification as a Senior Professional in Human Resources (SPHR) and an extensive background as a speaker, writer and consultant, Ginny Hegarty, owner and President of Dental Practice Development, Inc. is best known as a turnaround expert specializing in practice leadership, accountability and employee engagement. Her expertise in human resource development will enable you to cut through the drama and build a solid team that will support sustainable, bottom-line success. If you’re not a Hygiene Profits Mastermind member, click here to sign up for our free trial. Doc, I know you would LOVE to see restorative treatment being scheduled out of hygiene. Every dentist I’ve ever met feels the same way. But sometimes, it’s just not happening. For your hygienist it may be a function of not having enough time and we’ll talk about that in an upcoming video. Or it may be that there are some critical steps you’ve missed in training your hygienists and setting expectations for co-diagnosis. Here are 3 simple steps to help them overcome those obstacles and help fill YOUR book. Step 1 – Empower your hygienist by clearly stating that you are confident in their dental knowledge and skill. Then set out your expectations regarding co-diagnosis. If you’d like them to take one photo on every patient with outstanding treatment, make that a policy for the entire team. And, unless they are way off base, try your best not to ‘undo’ what your hygienist has tee-d up for you. If your hygienist sees that you won’t move forward with the treatment they’ve helped enroll, they will stop because they’ve lost confidence in themselves and in you. Step 2 – Give your hygienists permission to observe restorative needs and to begin educating patients on those conditions. This includes permission to participate in diagnosis, not only for perio disease but for restorative needs as well. Give permission to think in a broader sense when reviewing x-rays, intra-oral photos, etc. : to think beyond calculus and gingival health and begin to think about what might have caused that abfraction on #11; to think about what you might recommend to strengthen that broken 2nd molar. Give them permission to take the patient as far down the diagnostic path as possible. I want to be very clear here. The doctor makes the final diagnosis and creates the final treatment plan. That being said, it is well within the parameters of the hygienist to offer information to patients about what conditions he or she has observed in the patient’s mouth and what your recommendations may be. Step 3 – Clearly communicate your treatment philosophy. Often, dentists assume that since their team works with them each day, they are familiar with their treatment philosophy. This may be true, but there may be some specific aspects of treatment where staff may need more information. Confusion about your treatment philosophy feeds inaction. When your hygienist is not totally confident with your treatment philosophy, she may be reluctant to reinforce recommend care to patients. Being unsure about how you would plan a restorative case is another key challenge that must be overcome before there is consistent enrollment taking place in hygiene. Set aside one hour each month to review cases and have your team create their own treatment plans. Then compare their plans and openly discuss how close they were to what you would have planned and the areas that you need to focus on. Hint: Take photos of teeth while you’re working. If there’s a crusty old amalgam, take a photo of the tooth once it’s removed and what they decay looks like. Then take a photo after you’ve prepped it and there’s little tooth structure left. This goes a LONG way in getting your team behind why you recommend a crown when they think maybe a filling would do. If you implement these steps you’ll see co-diagnosis increase, your exam time decrease and healthy, happy patients.